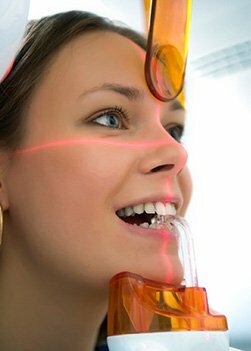 Advanced Services & Technology | Brooks Dental, P.C. 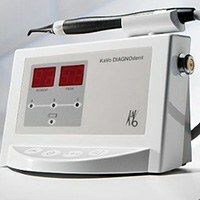 As the world of dental technology continues to evolve, our dental office continues to invest in the latest and most advanced dental equipment and techniques in order to provide our patients with unparalleled oral healthcare. From digital imaging for superior diagnostic accuracy to 3D CT scanning with cone beam technology, our office is equipped with the state-of-the-art tools we feel our patients deserve. 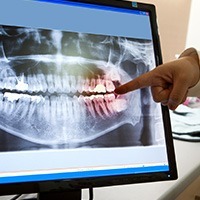 Why Choose Brooks Dental for Advanced Technology? 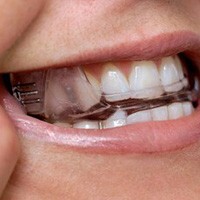 Digital Impressions Available – No More Gagging! When planning an advanced treatment like surgical dental implant placement or root canal therapy, our dentists always want to proceed with full confidence. 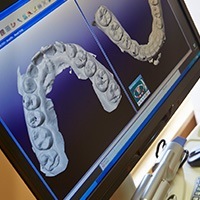 That’s why they regularly utilize the state-of-the-art Carestream 9300 3D Scanner, which creates three-dimensional, exhaustively detailed images of a patient’s teeth, jaw, joints, and related facial structures with crystal-clear clarity. By being able to view even the smallest details of your dental anatomy, we can carry out important services with unparalleled precision and success. Older patients surely remember the days of having to sit still in the dentist’s chair while their mouth was filled with a tray of messy impression material. Not only was this experience uncomfortable, but it often resulted in inaccurate results and time-consuming retakes to boot. 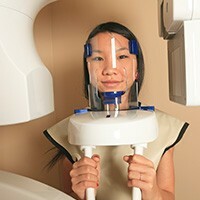 Today, the Brooks Dental team has invested in a far superior technique – the Lava Chairside Oral Scanner! 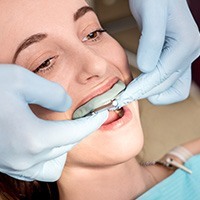 This state-of-the-art technology captures three-dimensional images of the patient’s dental structures with the help of a small wand that’s moved throughout the mouth. This means there’s NO physical contact required and NO unpleasant threat of gagging for the patient. At Brooks Dental, we’re proud to have rid our office of the dangerous and caustic chemicals used with conventional film X-rays. Now, our dentists have invested in Carestream digital sensors for outstanding diagnostic power in a safe and fast package that’s also favorable for the environment. Digital radiography decreases the amount of radiation patients are exposed to by about 75% when compared to the traditional technology. There are also no more darkrooms – high-resolution images are captured and available for viewing in mere seconds. As a result, even the most complex examinations and diagnoses can be completed quickly and confidently. Intraoral cameras can reveal so many important details about a unique smile, both for our dental team and for the patient themselves! 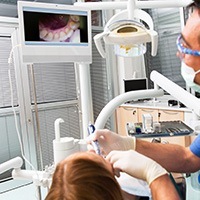 The camera-tipped wand will capture high-resolution images of the teeth, gums, and more, transferring them to a monitor in the treatment room for immediate viewing. From there, our dentists can refer to these images as a handy visual aid, using them to diagnose dental concerns that may not have been immediately visible during a visual examination. Additionally, they can be referred to when discussing our findings and potential treatment recommendations so that patients feel well-informed regarding what’s to come. Many patients of all ages struggle with anxiety and outright fear surrounding the dentist’s office. At Brooks Dental, we’re very sympathetic to these negative emotions, and we don’t want our patients to forego the ongoing care they and their smiles need to remain healthy. That’s why sedation dentistry is available here in Winthrop. Oral conscious sedation can help calm anxiety and create a much more relaxing environment for treatment to commence safely. Many patients who’ve been diagnosed with mild to moderate obstructive sleep apnea (OSA) don’t even realize that a trained dentist may be their ticket to comfortable, higher quality rest – but it’s true! At Brooks Dental, we offer custom-made oral appliances that can help reposition the jaw and prevent airway blockage, allowing for uninterrupted sleep throughout the night. If you’ve been struggling with traditional CPAP treatment, don’t hesitate to contact us today for further information. Do you regularly find it difficult to chew food without pain or fully open and close your mouth? Has severe, lingering jaw pain become a normal part of your daily routine? These symptoms are typically the result of a TMJ disorder, which negatively affects the joints that control everyday jaw movement. Thankfully, our dentists are very familiar with the tell-tale signs of this common ailment, and they can provide dedicated therapy to bring back harmony to your oral structures. This may involve adjusting the surfaces of certain teeth to correct dysfunction or providing a custom-made occlusal splint that helps reposition your jaw’s resting position during sleep.